How Does Wind Energy Work? Wind is a fantastic renewable resource. Moving wind is what powers wind energy. Wind is renewable because it is caused by the uneven heating of the Earth’s surface by the sun. The Earth absorbs heat from the sun at different rates. A common example of this can be seen in the daily wind cycle. Wind is primarily used to power windmills and turbines. These wind-powered devices can generate electricity. Did you know wind energy is considered an emission-free source of energy? If you have seen turbines on a road trip and wondered “how does wind energy work,” we’ve got you covered. 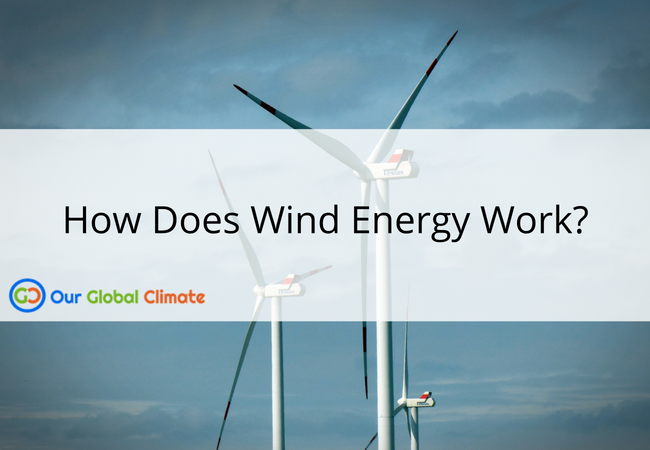 We’ve searched through the internet to figure out just how wind energy works. What Exactly Is Wind Energy? To understand how does wind energy works, you need to first understand what generates wind energy. Wind is caused by the uneven heating of the earth’s surface by the sun. The earth is made up of different types of landmasses that include oceans and mountains. Because there are different types of land that exist, the earth absorbs the sun’s heat at different rates. The daily wind cycle is a direct effect of the varying rates the earth absorbs the suns heat. It is important that you understand the daily wind cycle. During the daytime, air that exists above land heats up faster than air over bodies of water. Warm air over land expands and then rises. Cooler air, that also tends to be heavier, moves to take the place of the warm air that rises. This process of cool air moving to replace warm air creates wind! At night, this action is reversed. Lastly, wind energy is provided by the renewable resource of wind. Renewable resources are excellent sources of energy because they can be replenished. No matter how much wind we use, we can always use more wind. Because of this, wind energy is beneficial for generating energy in a clean manner. How do We Harness Wind Energy? 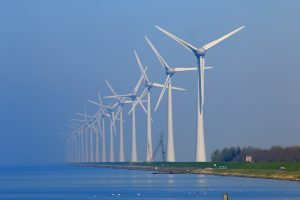 Wind energy is primarily harnessed by wind turbines. Wind turbines use blades to collect kinetic energy from wind. The wind flows over the blades of the windmill. This process creates lift. Lift is an aerodynamic force that allows the wind turbine’s blades to turn. The windmill’s blades are further connected to a drive shaft. The drive shaft then turns an electric generator, which in turn generates electricity. Let’s break down how wind turbines generate energy. Wind energy basically works because we can use wind turbines to harness wind energy. To better understand the nuances of wind energy, it is important that you understand the different parts of a wind turbine. Energy.gov has an excellent interactive model that covers the nuances of how turbines work. There are a number of factors that go into making a wind turbine work. First, wind direction heavily influences the design of the wind turbine. Upwind turbines are created to face into the wind. On the other hand, downwind turbines face away from the wind. Most turbines have two or three blades that rotate. This rotation causes the rotors inside of the wind turbine to turn. The rotor then turns a low-speed shaft around 30 to 60 revolutions per minute (rpm). The low-speed shaft is connected to a high-speed shaft by a gearbox. The gearbox increases the rotational speeds of the low-speed shaft from 30 to 60 rpm to around 1,000 to 1,800 rpm. This rotational speed is the rotational speed most generators use to produce electricity. This is one of the costlier components inside of a wind turbine. Engineers are exploring other options to help convert rpm from the low-speed shaft. The high-speed shaft is what helps drive the generator. It is important to know how does wind energy work. The pitch system turns the wind turbine’s blades out of the wind to help control the rotor’s speed. This works to conserve energy as rotor speed can prevent the rotor from turning in winds that are too low or high to produce electricity. The brake mechanic of wind turbines stops the rotor. This is in case there are any emergencies that occur that require the wind turbine to be stopped. What is a Wind Vane? Lastly, the final components you need to be familiar with handle the yaw of wind turbines. The wind vane is a component that helps measure the wind direction, and it communicates this information to the yaw drive. The yaw drive helps align the turbine properly with respect to where the wind is. The tower helps support the structure of the wind turbine. The taller the wind turbine, the more energy that can be captured. This is because wind speed increases the higher up you are. Because more energy can be captured, more electricity can, in turn, be generated! Where is Wind Energy Harnessed? Since 2017, there are 40 states in the United States, that have large working wind-powered projects. The most electricity generation in the United States came from Texas, Oklahoma, Iowa, Kansas, and California. Those states generated a combined 60% of all of the electricity generated by wind in 2017. In addition to wind turbines being located on land, there are also wind turbines that are located on the water. For example, there is a wind turbine located offshore of Rhode Island. Like with many forms of energy, wind energy comes with its set of pros and cons. We have covered how wind energy works, but it is important to know the impact of wind energy. While wind energy is based on a renewable resource, it can also cause some harm to the environment. We will explore this reality further in a breakdown of the pros and cons of wind energy. How does wind energy work for us positively? Wind energy has numerous positive effects. First, it is built upon a renewable resource, wind. This resource is in abundance and does not have the same negative effect on the environment as fossil fuels. Wind turbines lead to fewer air pollutions and carbon dioxide emissions. Converting wind energy into electricity is quite easy, and the process has been relatively standardized across the board. Wind turbines also have small physical footprints. They simply do not take up a lot of space. Wind farms can be located in prairies, open land, or mountain land. 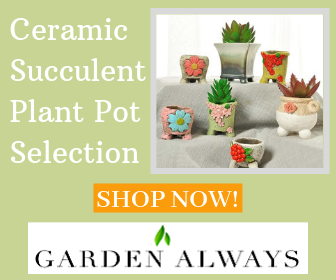 They do not require environmentally damaging actions like logging, fracking, or digging. Even the offshore locations pose a minimal threat to the environment around them. Overall, wind energy is a relatively safe form of energy. While there are numerous benefits to wind energy, there are also some negative effects of utilizing wind energy. While rare, some wind turbines can leak fluid or catch fire. Wind turbines also cause a small amount of noise pollution that folks near wind turbines can become frustrated with. In addition, wind turbines can cause bird deaths and bat deaths. This is because these animals don’t recognize the structures. We have covered many aspects of how does wind energy work, Wind energy works by harnessing the power of wind with wind turbines to generate electricity. The Wind turbines are designed to process wind as efficiently as possible. Wind energy is based on a renewable resource that has a small environmental footprint. Many nations around the world use wind energy to generate electricity. Wind energy is harnessed in prairies, mountain ranges, and even offshore on the ocean. Wind energy is an excellent alternative to fossil-based fuels. Featured Image: CC0 Public Domain via Canva, with text, banner, and logo added.